Highly efficient in longer life performance, these Marine Valves are best in quality and inspected by mechanical engineers. 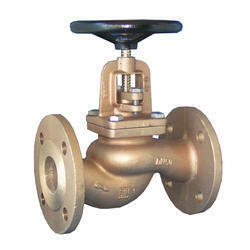 These valves are superior in finishing and extreme durable in nature. Besides this, mechanical engineers check all the mechanical property of these valves. Our Marine Valve are compact valves offering leak tight positive shut off in any harsh environment due to unique seat and seal arrangement. We offer complete range of Marine Valve including SDNR, SDR, Storm Valves, Ducts, Angle Valves, etc. Our Marine Valve offers complete plumbing and piping solutions for marine applications.